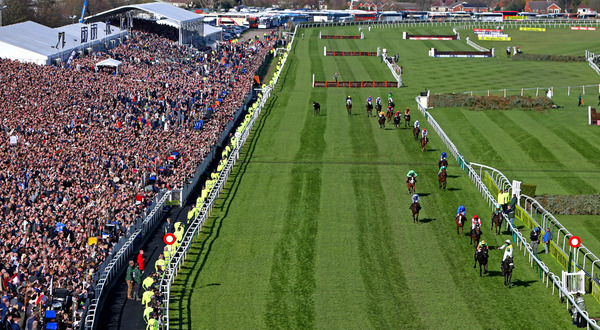 With a later start than usual this year to avoid a clash with the football, we can expect viewing figures for the Grand National to increase from already impressive numbers last year. In 2015 nearly 9 million people watched jockey Leighton Aspell win the race for the second year running. Now 'Many Clouds', the 2015 winner, gets the opportunity to do the double too and is favourite for the 2016 race at a relatively short 8-1. There's plenty of reasons to believe that the nine year old will put up a good performance after recent impressive showings and Many Clouds would be the first to do the double since Red Rum in 1973 and 1974 so plenty of punters will be cheering it on. At the same time though, with such a large field, there are lots of other contenders. Silviniaco Conti is second favourite at 10-1 and he's skipping the World Hurdle in favour of the Grand National so that demonstrates confidence. It's justified too with 7 seven Grade 1 victories under his belt. Third favourite The Last Samuri (12-1) has impressed of late too. If you're just betting on the National for a bit of fun and feel that it'd be a shame not to put a few quid on, there are of course countless long shot options to go for too. Of course, big priced winners are nothing new at the Grand National so it's not an entirely hopeless task. Who can forget Liam Treadwell riding Mon Mome home in 2009 at a staggering 100-1 with bookmakers. Of the outsiders I'd be tempted to go for 13-year-old gelding Vics Canvas at 50-1. He's a bit long in the tooth but has impressed over the years and has experience over the fences so it'd be nice to see him be thereabouts as an each-way option. Interestingly Paul Nicholls will put Black Thunder (currently 50-1) up for sale two days before the Grand National takes place. I'm not sure if that speaks to the chance he thinks it has of winning, but it certainly adds another element of interest to what is already bound to be a great event!